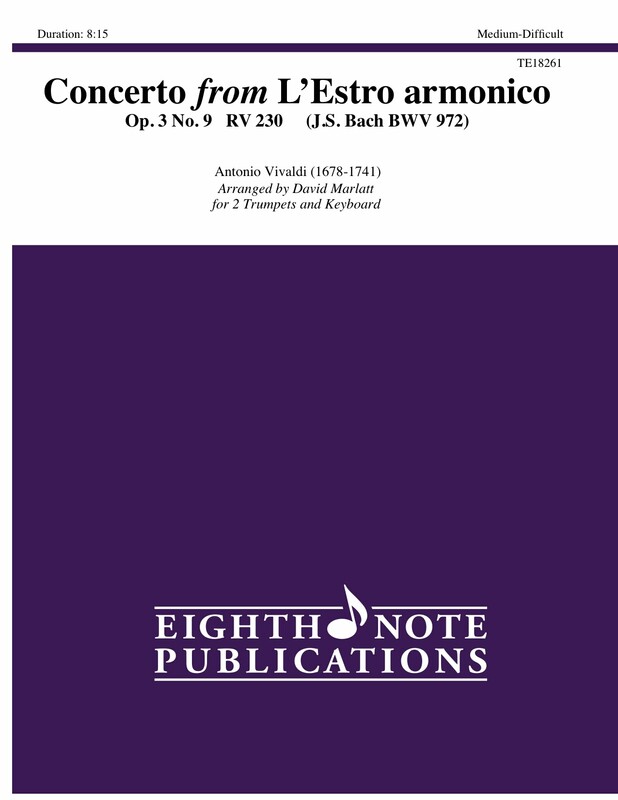 Under the title L Estro armonico Vivaldi wrote a collection of twelve instrumental concertos. Concerto #9 (originally for solo violin, strings and continuo) is in three movements. This piece has been made famous in the brass world by the German Brass with an excellent arrangement by Matthias Hoefs. Editions have also been done by Alison Balsom and other great trumpet soloists. Now this piece is available for a trumpet duet with keyboard (organ or piano).